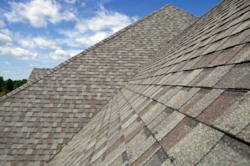 Charlotte roofers, AMS Roofing Consultants Inc, promotes roofing services through special offers. These Charlotte Roofers honor veterans with a special discount, give cash back for referrals and work with insurance companies to make sure customers get the best deals possible. Charlotte roofers AMS Roofing Consultants Inc recognizes that times are tough, and in response to the lagging economy, offers special promotion offers for Fall 2012. These Charlotte Roofers honor veterans with a special discount, give cash back for referrals and work with insurance companies to make sure customers get the best deals possible. Testimonials from customers show that insurance companies and roofing customers alike appreciate their dedication to honesty and hard work. AMS Roofing Consultants Inc is promoted by web marketing experts, Tekspire LLC. To book a free roof inspection in the Charlotte area, contact AMS Roofing Consultants Inc directly. AMS Roofing Consultants Inc provides roof repair and roof replacement services to the Charlotte NC area.